A great way to start stamping is to start with black, white or neutral colours. 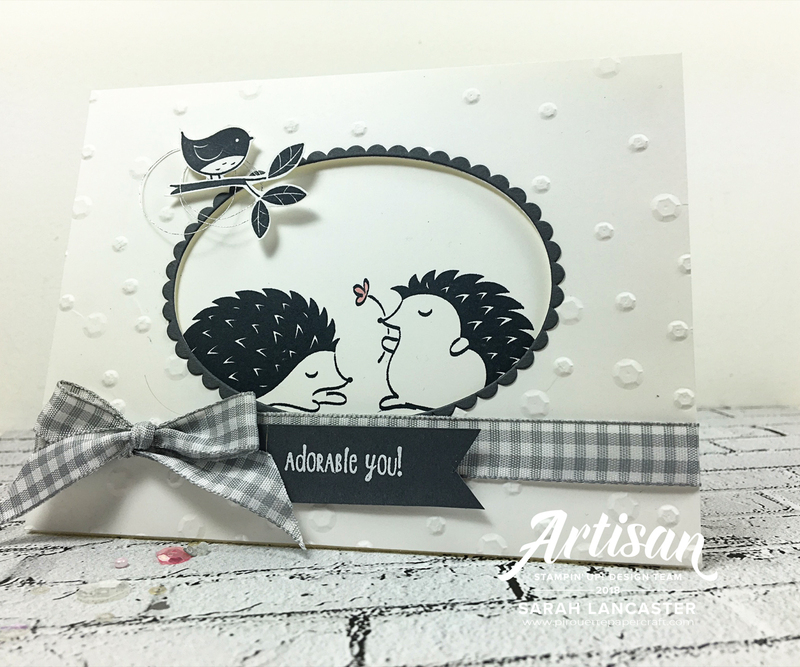 Don't worry about colour, just start with simple stamps and embellishments. Then start to work with the colours you like! There is always the temptation to buy everything at once, but there is a risk that you could get overwhelmed! 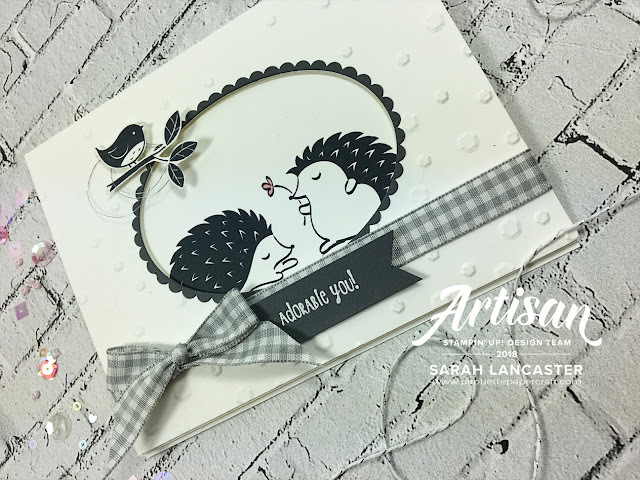 Today I'm sharing a neutral coloured card that is really easy to create. Because it just uses simple colours the images really pop. As soon as I saw this stamp set in the Spring:Summer catalogue it went right to the top of my shopping list! I love little animals. This set is perfect for Valentines Day and with shipping around 3 to 5 days you can order today and it will be with you in time! 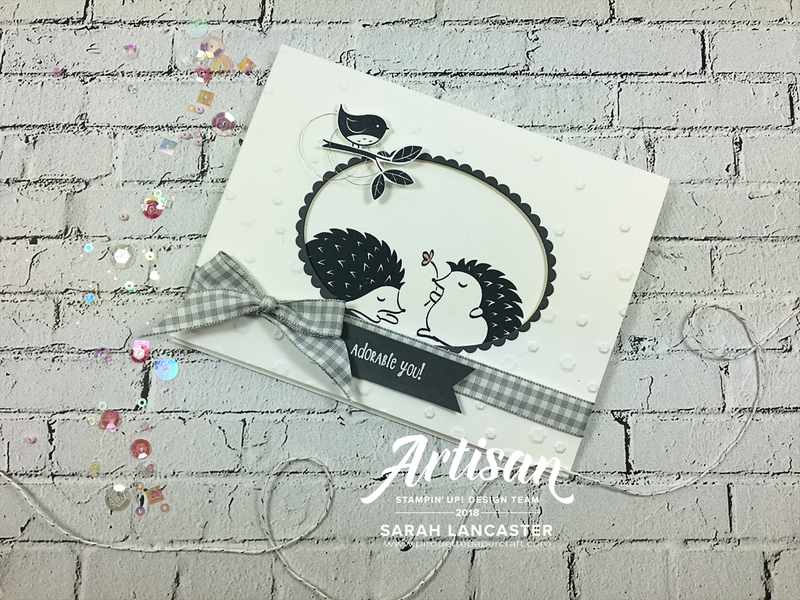 Don't forget that you can choose a gift from the Sale-a-bration catalogue with a 60€/£45 spend (before shipping which is only 5,95€/£4.95 regardless of the amount you spend) in my Stampin' Up! online store. Thanks Carol - of course you need it ! !